♦ The high-quality aluminium case offers enough space for accessories and provides protection against dust, moisture and shocks. 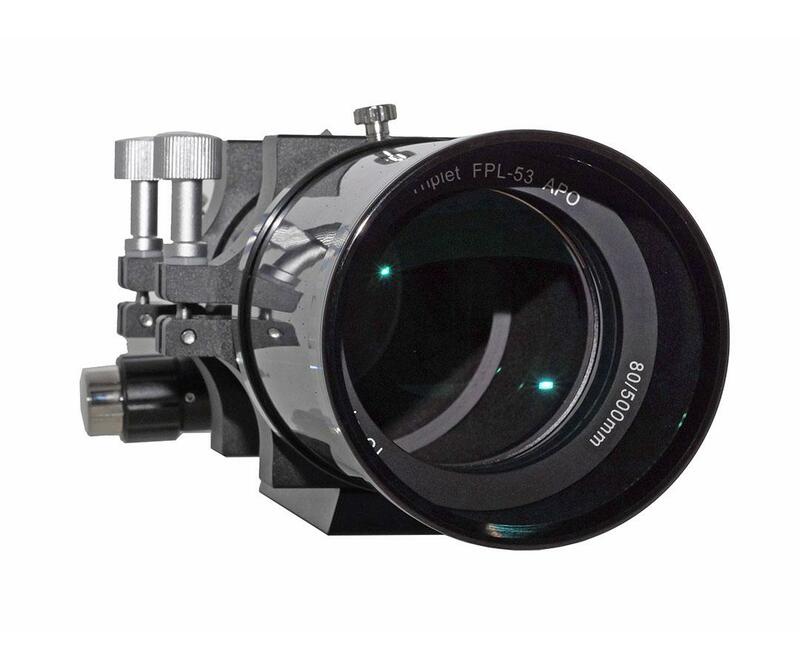 The 3-element Photoline 80 mm FPL53 apochromat was substantially redeveloped by TS. 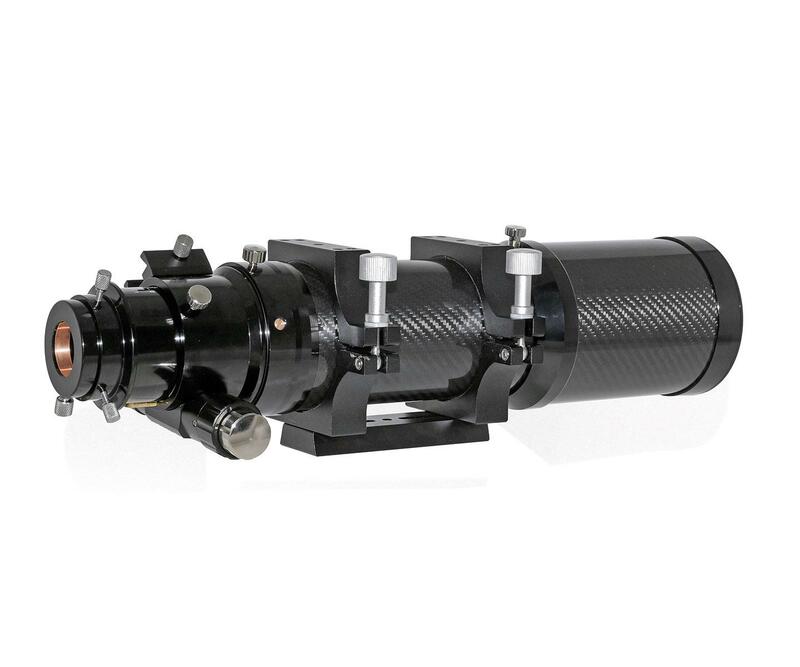 The apochromat has one of the best 80 mm triplet lenses and a photographically optimized rack and pinion CNC focuser according to the principle of newer Starlight Feather-Touch focusers. The carbon tubus offers maximum stiffness and a good thermal behaviour. 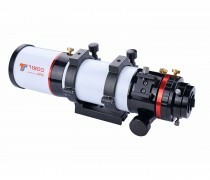 The total weight of the telescope is only 3.48 kg including tube rings and dovetail bar. The result is a travel apochromat with an image free of residual color error and also with optimal spherical correction. 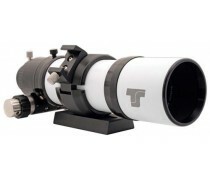 This telescope offers better illumination than any other refractor with this aperture. 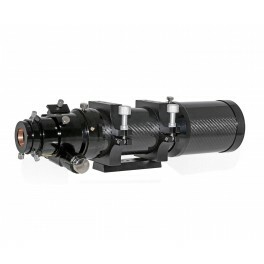 You can achieve a field of view up to 5.5° or increase magnification up to 200x without any decline of sharpness. 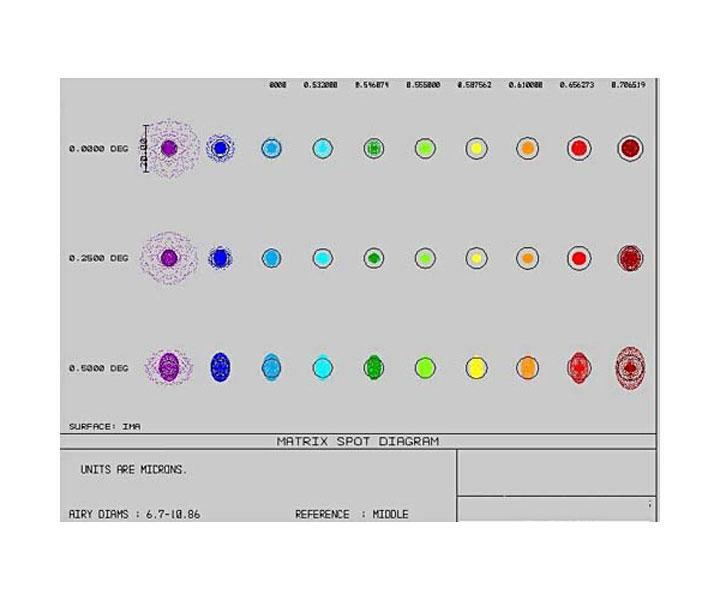 The triplet objective offers a pure-coloured image, it fulfills the criteria of a true apochromat. 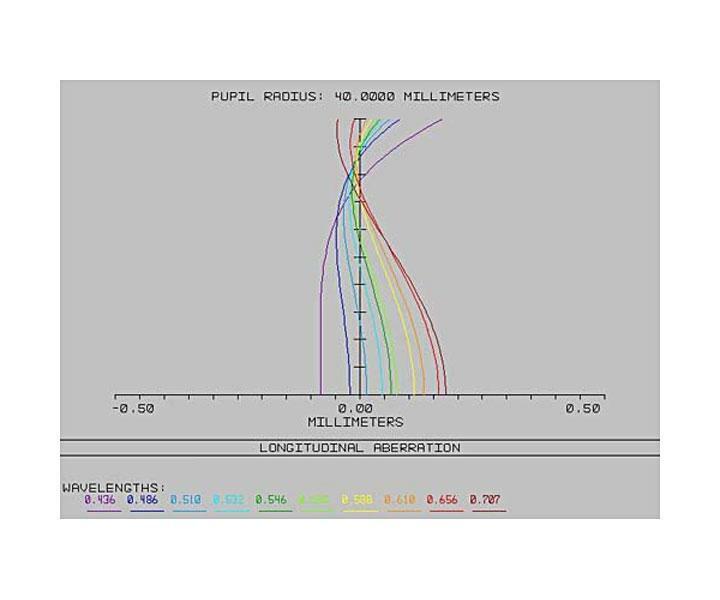 The lens also offers best possible spherical correction and our experience has shown that it is on par with Russian lenses. The APO element comes from Ohara (Japan). 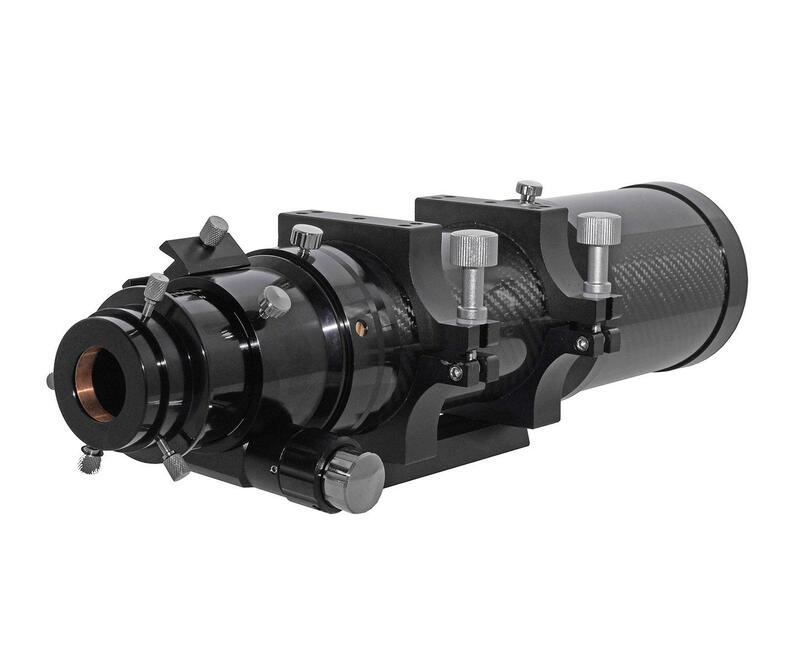 The fully multicoated triplet lens is mounted into an adjustable cell and, of course, designed with air space. The two diagrams above show objectively the outstanding image of the apochromat on the axis and in the field. We don´t know any objective with this aperture in this class with better imaging. 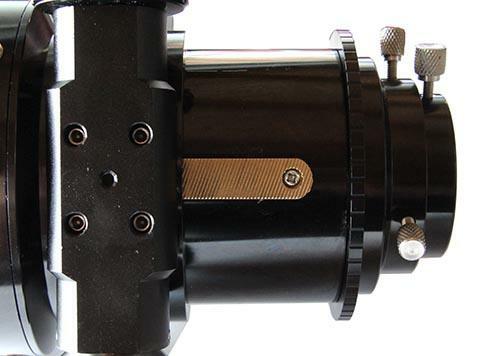 The 2.5" focuser provides better stability and accuracy than most Crayford focusers we know. Adjustment is done via rack and pinion with 1:10 dual speed. Locking is performed on the driving shaft, avoiding tilting. 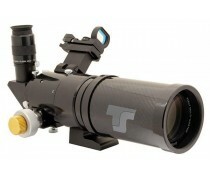 Photograpic usage - one telescope, two focal lengths for photography! 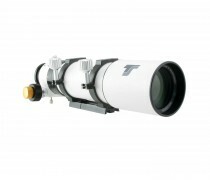 Focal length 350 mm / focal ratio 1:4.5: The comfortable focus position allows using the outstanding Riccardi 0.75x reducer. The focal length is reduced to 375 mm and the speed is increased to f/4,5. At the same time, sensors up to 42 mm diameter are fully illuminated. 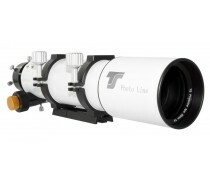 Focal length 500 mm / focal ratio 1:6.25: With the TS 2.5" full-frame flattener, you can achieve 100% illumination even with full-frame sensors. 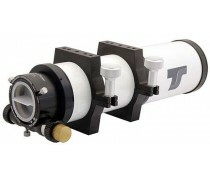 The less expensive TS 2" flattener is very well suited for sensors up to 30 mm diameter. You can find the recommended distances and adapter suggestions in the "Reviews" section. You can find the necessary accessories in the "Recommended accessories" section. 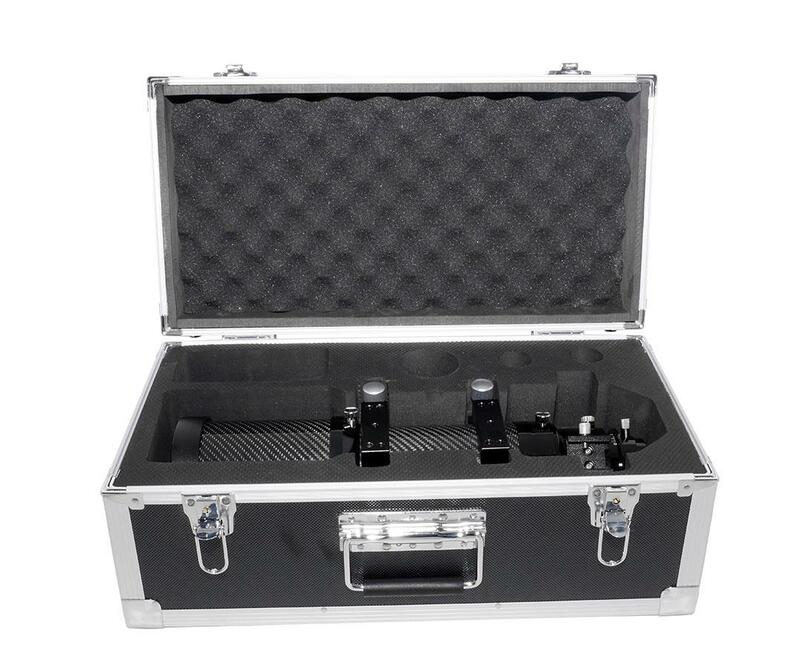 Of course, safe transportation of such a telescope is helpful, so an aluminium case is included in the scope of delivery, it offers sufficient space for the most important accessories.